I was so proud when he shared this with me. He is learning so much from participating in martial arts. 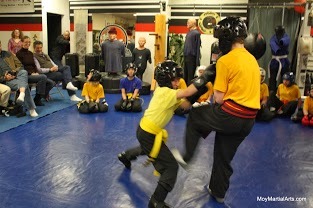 It’s more than physical Kung Fu it’s about shaping kids to be strong in their hearts and their minds. Thank you for all that you do! We have 3 generations of our family training with Professor Moy, we drive over one hour each way to class and have done so for 7 years. I think actions speak louder than words but I am compelled to say Mark Moy is the most honorable man I have ever known and I trust him with my most valuable possessions which are my daughter and my granddaughter. He is a great example of what a martial artist and teacher can become if they truly love their students and are selflessly dedicated to their craft. 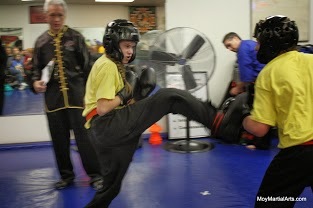 Our son has been studying with Sifu Moy for almost a year now, and his experience has been excellent. I would highly recommend this school to any parent or adult who wants a superior program for his/her child or for one’s own martial arts training. Having studied with Sifu Moy over 20 years ago at a different school, I see the same great benefits for my son’s character and physical education here as I experienced then. 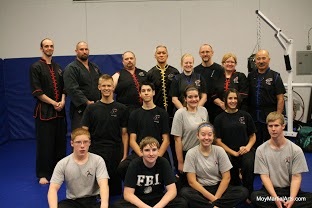 Excellent instruction in martial arts and Tai Chi for all levels. VERY highly recommended. 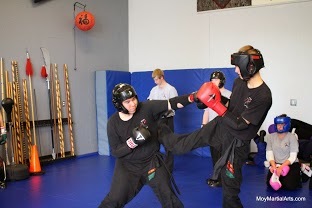 Professor Moy is one of the top Martial Arts instructors in our community. 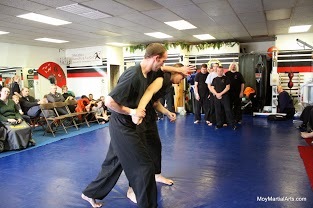 He has built a program that allows the student to grow any many directions to become a truly well rounded martial artists. 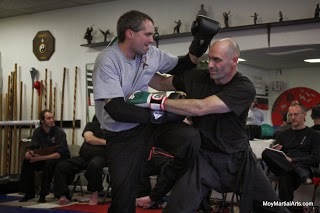 His program not only encompasses the physical aspects of self defense, but also the mental, and spiritual aspects as well. 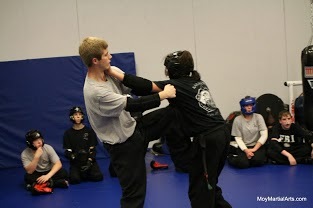 He has an excellent children’s self defense program that many children have gone through. 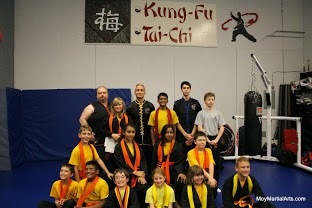 Many kids have trained with him from their early elementary years through their college age years. 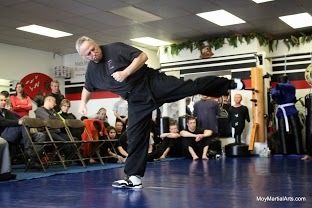 I highly recommend trying a class with him whether you are interested in Tai Chi or Martial Arts or both. I started training with Professor Moy when I was 4 years old. It’s been about 16 years now, and my experience at the academy has been nothing short of amazing. Professor Moy offers exceptional, authentic training to all students regardless of their goals, ability, and background. 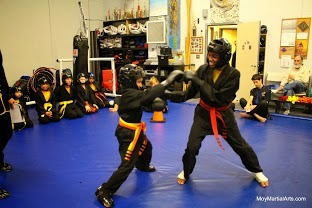 Because I started so young, I’ve experienced both youth and teen/adult classes. 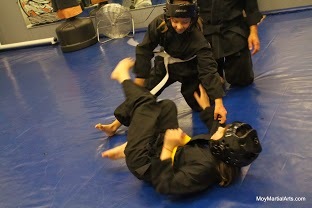 Youth classes teach fundamental martial art skills, important character-building lessons, and are incredibly fun for kids. I would say the same about teen/adult classes. 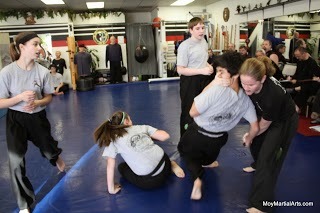 They teach real martial skills as well as lessons that go beyond the training floor. The community that Professor Moy has cultivated is strong, good-hearted, and welcoming to absolutely anyone. Whether you’re a parent looking for a great activity for your kids, an experienced martial artist looking for a challenge, or someone who is completely new to this world, Moy’s Kung-Fu & Tai-Chi Academy has something for you. I have been attending this school for nearly twenty years and I cannot express how much it has changed my life for the better. From Mariah R.: After taking Tai Chi for over 8 years from Professor Moy, I can tell you that his Tai Chi classes can change your life. I sufferred for years with chronic neck and back problems, went to many specialists, physical therapists, chiropractors and practitioners to try to ease my pain, but with little or only temporary results. With Professor Moy I gained the skills and knowledge to not only heal many of my old injuries but to improve them. By attending Tai Chi with Professor My twice a week I literally have able to stop seeing all of the doctors and physical therapy for my neck and back. Doctors told me I would get progressively worse as I aged, but thanks to these classes, I rarely have pain, my flexibility has actually improved, and I can perform many tasks that I was previously unable to do. In addition to helping heal my physical ailments I have found the classes to be very efffective in keeping me relaxed and centered. If you want to improve your life this would be the best investment in your future health, Professor Moy not only profoundly understands the inticacies of Tai Chi, he is a kind, honest and caring instructor that wants the best for you and your family. Our son has been attending classes here for several years now. Professor Moy is a man of high character, exceptional teaching skills, and a solid friend. You and/or your children won’t regret training here. The atmosphere is very family oriented. It’s a small school with many students but it’s a great place to be. I have trained with Professor Moy since 1994. He is the real deal and respected by the martial arts community for his character, honor, and his amazing martial skill. The amount of lives he’s impacted positively in the Vancouver area is enormous. I can’t recommend him highly enough to trust your child or yourself with his traditional, yet patient style of teaching. 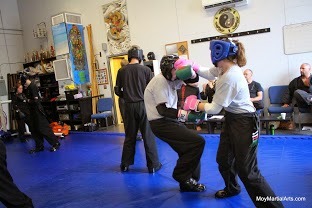 My daughter has trained with Professor Moy for 12 years of her 18 years. I give Professor Moy a generous portion of direct credit for her great success in school and sports; however, it is his guidance in developing a strong and good character that I value most. He has always been another strong and steady adult voice in her life. I am also a student of Professor Moy myself and I can not begin to list the ways this has been a positive impact in my life. I recommend if you have an interest just come out to the school and take a look for yourself. I have been studying tai chi with Sifu Mark Moy for over twenty years, and now my 6 year old granddaughter is taking classes with Sifu Moy, I could hardly wait until she turned 5 so I could enroll her… I personally have seen kids grow up studying with Mark and know how they grow into confident, polite and respectful young adults ready to go out into the real world. I wanted the best possible life lessons for my granddaughter, with parents doing the best they can, children need all the positive influences they can get, I trust Sifu Moy will fill any gaps my daughter and son-in-law may miss. This is my legacy to my granddaughter, to give her the best start to her life I can give her. 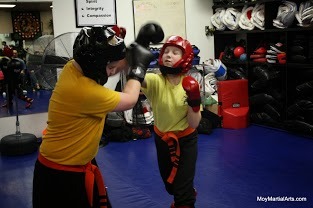 Our children have been enrolled at Moy’s Martial Arts for over 8 years. They have gained great skills and confidence. Mark’s heart is for the students to be good citizens and avoid violence, yet stand up for themselves in a positive way. 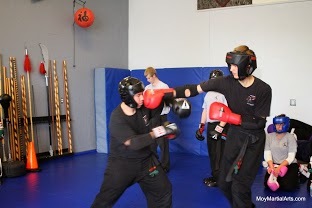 The community and environment is very positive and the students and instructors support and encourage each other. I would not hesitate to recommend this school to anyone! Professor Moy has an excellent teaching style that is great for children, teens and adults. 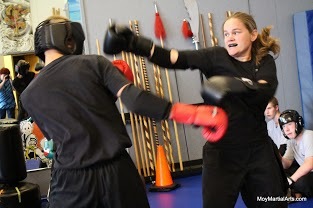 Anyone from the experienced martial artist to the total newbie can benefit from training in this street-wise program which emphasizes on self-defense. Training with Professor Moy has improved my life in so many ways and I would recommend both the Tai-Chi and Kajukenbo programs to anyone! I absolutely recommend Moy Martial Arts and Tai Chi Academy. 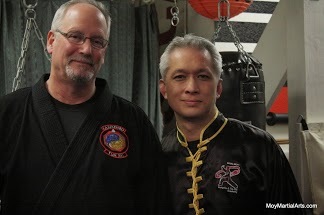 I first meet Professor Mark Moy nearly three years ago when my, then six-year-old, son started training at Moy Martial Arts and Tai Chi Academy. A year later my two five-year-old girls started training, and, not wanting to be left out, I started training in the adult martial arts class around that time. So I now have the opportunity to observe, or participate in, three classes that Sifu Moy teaches (the ages 5-8 class, the ages 9-12 class and the teen/adult program). The first day I meet Sifu, I was immediately impressed. 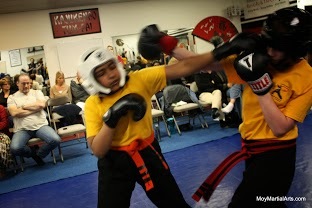 It was my oldest’s first class, a one-on-one class Sifu used to introduce some basic techniques and guidelines to my son and to get a sense of my son as a student, his personality, demeanor, learning style, et cetera. From this first class, Professor Moy establishes a relationship with the kids by not treating them as children, but as young people who are learning how to grow. In the context of this relationship, I’ve seen dozens of kids and adolescents developing into strong, confident, kind, and self-disciplined young people. Professor Moy doesn’t give students these character traits, rather he creates the space in which through training the young people learn that getting stronger means doing a little more rather than just enough, that they’re all valuable and _no one_ has the right to challenge that, and that creating community takes courage and kindness. There is no better testament to this than the young folks who have trained at Moy Academy for a few years. I’m continually amazed with the confidence, patience and poise that the young people demonstrate as they help–with Sifu’s guidance–less advanced students train. Learning from Professor Moy’s example, older students treat younger or less advanced students with respect, helping them with techniques, rather than being condescending or big headed. All the students work together to make each other stronger; this is the culture that Professor Moy has created and creates at his school. Professor Moy is a quintessential teacher, an expert in his field, who’s patient, respectful, kind and caring, and, just as importantly, one who has clearly spent an enormous amount of time, energy and work developing–and refining–his pedagogy. 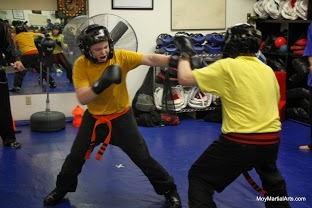 While I’ve only trained for about a year and a half, I can recognize many of the connective tissues among the techniques and tactics that Sifu teaches in the kids classes and adult classes. His curriculum is concise, compatible and taught in a coherent progression, so that training becomes applicable very quickly. 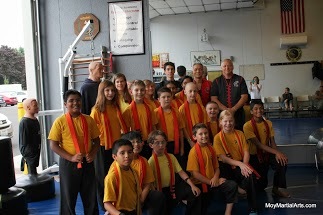 Moy Martial Arts and Tai Chi Academy is a real gem–a world-class institution. 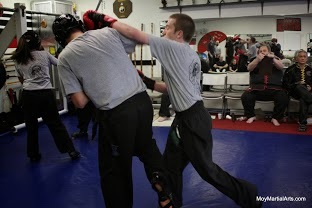 If you’re looking for martial arts and/or Tai Chi training, I would highly encourage you to look first at Moy Academy. 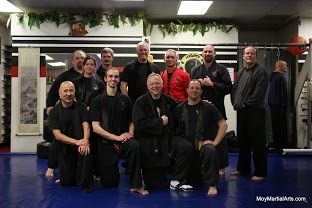 I looked around for several months before starting to train at Moy’s Kung Fu Academy, I found a very good home here with a lot of amazing people, Sifu Moy has an amazing heart and spirit and uses that in his teaching of both Kajukenbo and Tai Chi. He reaches out to people of any age and makes them feel welcome, the classes are friendly and inclusive to help build a very strong culture. I enjoy my training immensely. The first thing that struck me(not a kick) was how welcoming Professor Moy was. Before the initial workout Professor Moy took me aside and told me about his approach to the martial arts. His joy for life and his attitude of the martial arts was apparent, honest and contagious. My first class was friendly and exhausting experience. The classes are small, with no pretense the other students welcomed me and introduced themselves to me before and after class. Next I started wondering will this stuff I’m learning really work? Will I be able to stop a surprise attack by some meth head or some thugs who try to grab my wife when we’re out at the movies. This is not one of those commercial “karate” schools where they toss you a uniform and you sit in on a 40 min class of drills and then go home. One where you pay your class fee$ to get promoted to an ever higher belt rank. This is a place where you will work out hard, sometimes you’ll feel great and sometimes you’ll want to cry, but when you come out of it you will be amazed at how your confidence, spirit and body have grown! My wondering is over, even though you will feel always welcomed and occasionally silly, you will not be getting trained in “sports” or “tournament” fighting. The skills you will be learning are serious and focused and grounded in reality. GOD forbid, in the case you are forced into a situation you cannot escape from, Professor Moy will be teaching you how to apply a “This Ends Now” mindset upon your attackers by providing you expert instruction developed by over 20 years of Martial Arts experience. You will soon learn like I did that there is a real mind-body-spirit approach to martial arts here. Professor Moy is the real deal! 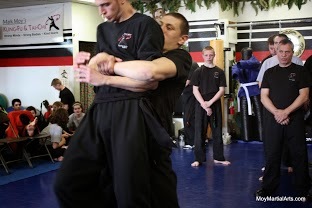 The training is tough and practical but also has a primary focus on the “Martial” in martial arts, so it provides a space for people to train at different levels and always be challenged. When my wife and I have kids we want them to train here. As a helper in the KungFu Kids class I’ve talked with many parents who have remarked how this school has given their kids so much more. By improved overall behavior at home and school. Or how training has helped them with discipline at school and home, where they apply the things learned such as patience and respect etc. 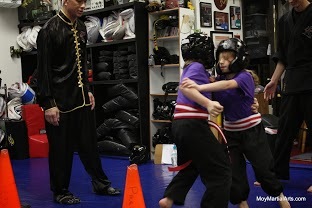 It’s a great place for a child not just to be physically involved in a martial art but also to learn values and morals that are important in everyday life. Professor Moy has created a format for integrating family life into the martial arts curriculum. I can’t say enough wonderful things about Professor Moy and his Wife Victoria and their school. I am inspired by him, because he defines “authenticity” — He walks the walk. The concepts he speaks about and teaches are clearly the principles he lives by in his own life. 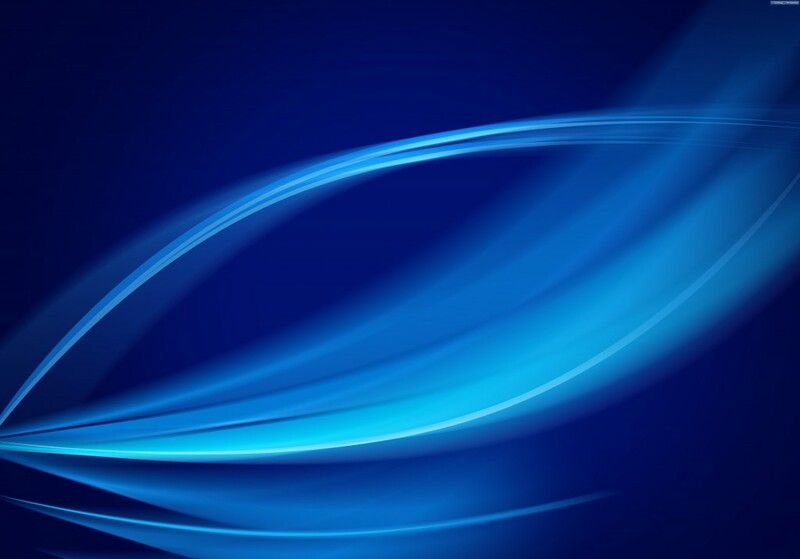 I dreamt of a martial arts school where I would find both technical and spiritual teachings. In the past five years, I’ve honestly found myself approaching life in a different way after training with Professor Moy.